Purchase a research paper on the reformation of the Roman Catholic Church. This is a religion research paper on the reformation of the Roman Catholic Church. An essay on the Counter-Reformation may include a brief history of the Protestant reaction to the Reformation. Custom research papers are Paper Masters specialty. The thesis statement and topic you see here is just a SAMPLE research paper of what we can provide you in research. 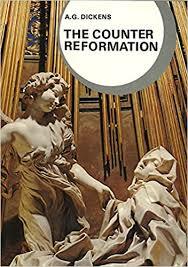 The Counter-Reformation, which is also recognized as the Catholic Reformation, was the movement that emerged within the Roman Catholic Church in the 16th and 17th centuries in response to the Protestant Reformation that preceded it. In its attempts to eliminate abuses and establish new institutions, the Protestant Reformation presented a significant threat to the power, integrity and ultimately the longevity of the Roman Catholic Church. The research will show that Martin Luther and the Protestant attack on the Church was designed to address several contradictory interpretations and applications of the Scripture, not the least of which was the increasing abuse of indulgences. It will also show that, with the delay of the Counter-Reformation, its strategies and a shift back to moral tradition in Protestantism, the lines between both would eventually be blurred. The following research is prefaced by a brief look at the Protestant Reformation, which serves as a backdrop against which to examine the events, key figures and outcomes of the Counter-Reformation. The research will investigate the elements of religious change that evolved out of the Counter-Reformation. Research will want to include the Council of Trent their role in affecting recovery within the Roman Catholic Church. The research will also look at the impact and the effectiveness of the Counter-Reformation manifested by the power and position of the Church over the next several centuries. Be sure to look at important conclusions on the subject that have been drawn from the literature. Research paper on the Counter-Reformation, the movement within the Roman Catholic Church in the 16th century and 17th centuries in response to the Protestant Reformation, may want to included information about attempts to eliminate abuses within the Church. Any subject, event, person from about 1500 until the present in the Roman Catholic Church should be included in this research paper. The Reformation is understood as a major European historical movement involving a conflict between the Catholic Church and the new religious ideas and challenges to it which sprouted up throughout Europe. These ideas and challenges arose mostly in the northern European countries, especially Germany. While changing ideas about religion, the authority of the Catholic Church, and its place in the lives of individuals were basic factors of the Reformation, the Reformation itself was a historical phenomenon having its origins in the broad changes European society was undergoing in the Renaissance. the Counter-Reformation had its greatest challenge in countering the Protestant attack in Germany. While the imperative of moral tradition in Italy is much more about being credited with its possession, it is much more about its manifestation in the examples of “peace, unity, neighborliness and brotherhood” in Germany. It is fair to suggest that this is the same reason for which the Protestant Reformation would emerge out of Germany and under the origination and direction of a German theologian, Martin Luther. In fact, as much as Luther rejected the Roman Catholic Church’s emphasis on moral tradition and the temporal efforts necessary to sustain it, by the end of the sixteenth century, Protestantism was itself marked by an emphasis on moral tradition that bordered on the “workholiness” it had been designed to avoid. The impact and effectiveness of the Counter-Reformation in Germany was actually supported by this gradual shift in Protestantism back to the moral tradition. That is not to say that the Counter-Reformation allowed the Roman Catholic Church to completely usurp the influence of Protestantism in Germany. What it did however was allow the Roman Catholic Church to gain greater influence in the region through the adoption of certain Lutheran departures, which improved its appeal, including “communion of both kinds and the marriage of the clergy”. There is little argument that Martin Luther had valid disputes with many of the practices carried out by the Roman Catholic Church and its leaders. Even more, it was essential that the abuses and contradictions identified by Luther be brought to light and properly addressed. When they would not be addressed, it appeared at first that the rift between Protestantism and Catholicism would never be spanned, however the research demonstrates that by well into the seventeenth century, what differences existed were being effectively mitigated by the Counter-Reformation. In fact, a shift back to moral tradition in both the Protestant and Counter-Reformation movements would fairly blur even the boldest of the lines that had been drawn between both sides. Catholic Restoration - The Roman Catholic Church is the movement in the Catholic Church that followed the Protestant Reformation and therefore is often called the Counter Reformation. 17th Century Developments - Seventeenth Century Developments Research Papers look at the different understandings of scientists during this time period and how it affected other centuries. Anabaptist Spirituality and Nachfolge Christi Belief research papers discuss the radical Reformation movement that influenced the Protestant Reformation, and therefore is often called the Counter Reformation. Catholicity research papers report what custom written research papers call the Catholic Church's claim as the Universal Church. Catholic - How the Catholic Church Reformation followed the Protestant Reformation and therefore is often called the Counter Reformation. English Reformation research papers trace the history of the reforming of the Catholic Church during the Reformation. German Reformation - Many religion and history courses will study the era of the Reformation in Germany, which took place between 1500 and 1648. John Calvin research papers look at one of the leading figures of the Protestant Reformation. Martin Luther and Faith - Martin Luther was a pillar of faith and the leader of the Protestant Reformation. Church of England - Originally called the English Catholic Church, Anglicanism increasingly came under the sway of the Protestant Reformation. Lutheranism continues to incorporate many practices found in the pre-Reformation Catholic Church, including the Eucharist as the center of the Church. Martin Luther and Faith - Martin Luther and Faith research papers focus on Martin Luther and faith, which is essential in understanding his character. Newman and Luther - Newman and Luther research papers write about the battle between Cardinal Newman and Martin Luther. Paper Masters writes custom research papers on The Counter-Reformation within the Roman Catholic Church and discuss a brief history of the Protestant reaction.